Commentators, politicians, and world leaders often bandy about the word “peace.” But I wonder if there are many in our midst who actually comprehend the true meaning of the word, not to mention how to find it. Webster defines peace as “a state in which there is no war or fighting.” That sounds simple enough, right? But what we must understand is that war is not just waged on a traditional battlefield. We see elements of war each and every day—against our kids, our families, our morality, and our souls. In order to sincerely pursue peace, there are fundamental changes that must occur, first at home and then elsewhere. We cannot have peace—or even the appearance of peace—when some form of abortion is killing one in every three children prior to birth. 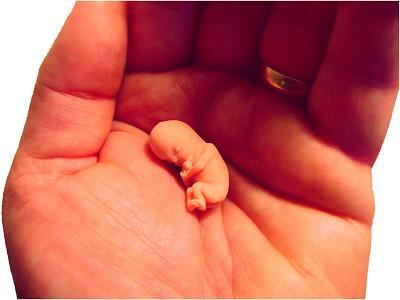 The war against the preborn is cruel and most assuredly rampant in America today. Furthermore, we must admit that the aborting of a child in an IVF lab because he is deemed unworthy of life—a child who then becomes trash—is just as heinous as the aborting of a child who has scissors stuck in the back of his neck a second before birth. Both are criminal and violent acts that violate the sanctity of life. In America today innocent human beings prior to birth are not recognized as actual persons by the law or even by average Americans. And polling data suggest that most Americans have no problem with abortion no matter what it is called. Frankly, in most cases, the act of abortion itself is never defined accurately in the first place. This is so because organizations that sell abortion—like Planned Parenthood—are much more interested in money than they are in respecting human dignity or sparing women the heartbreaking consequences of abortion. Yet poll after poll in the United States reveal that the majority of Americans support acts of killing—acts that are never defined in those terms but rather as acts of compassion and caring for the dying and the terminally ill. Brittany Maynard’s case was a perfect example of this thinking. This young woman who took her life rather than deal with aggressive brain cancer became a poster child for those marketing wicked end-of-life strategies. Such stories and reports regarding the attitudes embraced by most Americans do not suggest that peace is on the horizon. Second, each of us must take the time to understand the facts and the truth behind what the Church teaches about the sanctity of life and not be afraid to explain these truths to others—no matter what type of hostility may result. Finally, we must take back the public square. As people of faith, we know and believe that this great war against human dignity can only be reversed through the power of God. As American Life League has demonstrated repeatedly over the last nearly 40 years, without a strong faith in the Lord’s word and a commitment to be the tip of the spear for Him and in Him, the public square will remain desolate. We must be proactive and fight this war with fierceness, with dignity, and with resolve that one day all human life—not matter the stage—will have the respect it deserves. Only then will each person find peace in his own heart and subsequently in the world.